Welcome back to the What's Your Love Language series! Now that we all know what our love languages are I want to talk about very specific and practical ways to implement them into your relationship. Typically we use our own love language to show affection - it makes sense - this is how I feel loved so I will use it to make somebody else feel loved. But that only works if your partner's love language is the same as yours - and its probably not! The key to making this successful is using your partner's love language not yours. And I will warn you its easier said than done! Today we are going to talk about the love language "Words of Affirmation". Now to me "Words of Affirmation" sounds a little hokey and it can come across that way too! If your partner's love language is Words of Affirmation then your goal is to find specific ways to compliment them, appreciate them, and raise them up. The key to Words of Affirmation is to be specific and sincere. Examples of kind words are "I love you so much! ", "Babe, you look so good today! ", and "I appreciate how much work you did around the house today, it makes my life so much easier". I think people often underestimate the power of kind words - I know that when I am tired and stressed out kind words are not my strong suit. In those moments, its important to pause and realize that using kind words is loving your partner. Encouraging your partner's passions, desires, goals, and plans will help them feel like they are not alone and that you care about their life outside of your relationship. Encouraging words can be very helpful especially if your partner is feeling self doubt or down about something. Comments like "You work so hard and I appreciate everything you do", "You have been working out so hard - I love your commitment", and "Dinner was so good I love that you try new things". Another easy way to use encouraging words is to be excited when they are excited. Now be careful with encouraging words because if you are encouraging something that is your idea instead of your partner's it can be putting pressure on them or make them feel like they aren't doing something right. Make sure that your words truly are encouraging and not demeaning. Humble words are described as making requests by affirming your partner's talents. Its easy to say "you never cook dinner any more!" but that might not be well received. Instead something like "I love the baked chicken you make, can I request that some time soon?". Its the same message - you want dinner to be cooked - but it will be received in very different ways. One that happens in my house all of the time "I love your cookies" with a sheepish grin - that's my hint that my partner wants some chocolate chip cookies. Humble words are kind of a three for the price of one because 1) you are giving a compliment and when your partner does what you requested 2) they are showing you love and 3) you can compliment and thank them. So now that we have covered what Words of Affirmation are lets talk about practical ways to convey those messages. Let's start with the obvious - face-to-face verbal communication - you can use any of the above types of communication with face-to-face communication. Things to remember when talking with your partner - make good eye contact so they know you are paying attention and look interested! Social Media - Let's be honest how many of us use texting as a laundry list of to-do's... can you grab milk, don't forget the kids, on and on. So surprise your partner - make it a point to send a text message to your partner to let them know you are thinking about them. For example, if you know they have an important work meeting at 11 - send a quick email or text at 10:30 to let them know you are thinking about them. Flirting over text message can also be a fun way to communicate with your partner and it makes you both excited to see each other next! Written Word - On the flip side, in a world filled with technology sending your partner an old fashioned love letter is a sentimental way that you can tell them how much you love them plus they can keep it and look back on it whenever they feel like it! Another way that my partner and I like to use Words of Affirmation on our home is leaving notes around the house. It's fun to find a note hidden in my lunch or stuck on my steering wheel. I also made a board that is hanging in our kitchen to leave notes on - come back later this week to see how you can make your own in under 5 minutes with less than $5! If Words of Affirmation is your partner's Love Language, try to find 3 different ways to communicate your love, admiration, or encouragement for them this week. Stuck on things to affirm - ask them what they are excited about or dreading this week and use those to compliment, encourage, or follow up on. 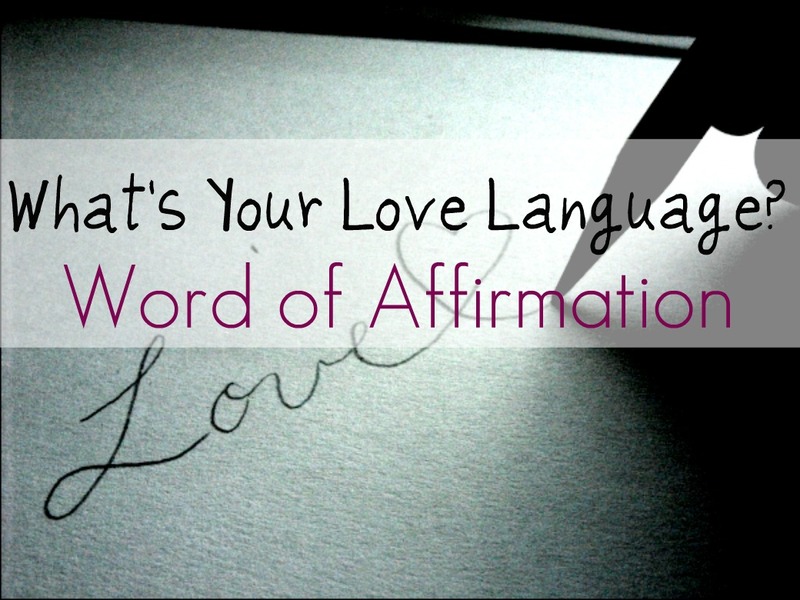 How do Words of Affirmation help strengthen your relationship? What are some creative ways you incorporate them into your life? My boyfriend is a trucker and is gone for 90% of the month so we rely on texting, and social media to communicate until he is home. Phone calls don't happen very often when he has to focus on driving. His love language is words of affirmation. When physically speaking to him isn't always doable, are text messages at least once a day with words of affirmation in them as powerful and meaningful as verbally speaking them? Hey! Sorry for the delay with my response. That's a really good question! I think that when talking to each other in person or over the phone aren't possible, text messages are going to be the next best thing! And as a bonus he can read your message any time he needs a little boost! I think that especially when people are separated by distance, its important to let your significant other know you are thinking about them! 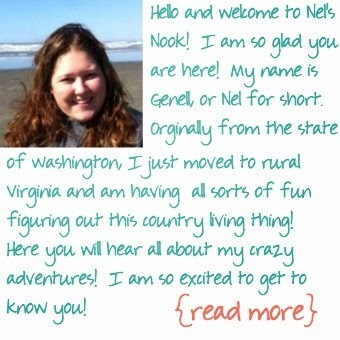 Thanks for stopping by and let me know how it goes! A word of affirmation makes my day. It lingers on me like a sweet candy I can taste all day long and more. I have an as-a-matter-of-fact husband. I have giving up hope that he understands how much his words mean to me. I appreciate when he says something nice although he says the same through the years. congratulations for looking for something to say to your dear. Don't ever stop looking for new ways to express your self. It is water to a flower that yearns to bloom. How would you communicate to a Words of Affirmation person when they've hurt you? I've found it can be so tricky to be honest about how their actions affect me. I go way out of my way to feed their love language, but they are completely insensitive to mine, and trying to make them aware of how this is hurting me causes them to explode, even when I use the nicest words, re-affirm them as being wonderful, and focus on how the actions affect me and not making it about them being a problem. I feel like the only way to have peace is to not ever mention when they hurt me, and only feed their love language, but that's not a very fulfilling relationship. I am a very loving person and encouragement and heartfelt praise is basically my forte. It's just this that I don't really understand. Three New Products to Try! Love Languages - What Language Do You Speak?